Darragh has more than 20 years of experience in information technology. He joined the Tabush Group in 2005, originally as a consultant and then a network architect. In 2009, Darragh became a partner at Tabush Group and took on the role of executive vice president. 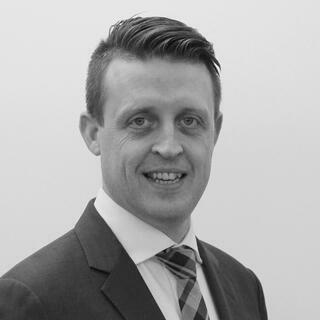 Having been involved in approximately $20 million of IT implementations and projects at Tabush Group, Darragh has designed and managed the build out of countless firms' IT infrastructures and has successfully put in place systems to maintain the security, robustness, and scalability of these infrastructures. Darragh's focus includes system architecture and business development, as well as account and project management. As an avid technologist and to ensure the Tabush Group team meets the high standards expected by the firm's clients, he's continually educating himself on developments in the technology industry. Originally from Ireland, Darragh has a Bachelor of Science degree in Computer Science from the University of Greenwich in London (UK). Before relocating to New York in the early 2000s, he was an IT manager at several firms in London. Outside work, Darragh loves sports – both watching and participating. He plays football (soccer) in a New York City metro league on a weekly basis. Darragh also keeps busy raising his two young sons with his wife, Jessica. Darragh is available as an expert panelist/speaker for a variety of industry events. He's also available for media interviews on relevant topics related to IT, cloud computing, cybersecurity, etc. Darragh presents to groups nationwide on topics such as IT management, security, and cloud. In addition to regularly blogging on various IT and cybersecurity topics, Darragh is frequently quoted in the media.